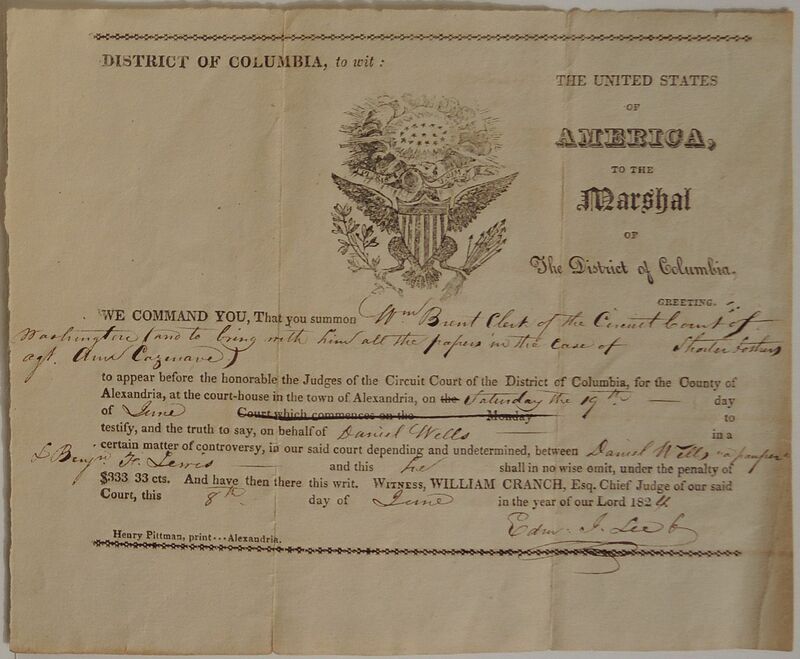 To the Marshal of The District of Columbia, Greeting. We command you, That you summon Wm Brent Clerk of the Circuit Court of Washington (and to bring with him all the papers in the case of Shorter & others agt. Ann Cazenave) to appear before the honorable the Judges of the Circuit Court of the District of Columbia, for the County of Alexandria, at the court-house in the town of Alexandria, on the Saturday the 19th day of June Court, which commences on the Monday to testify, and the truth to say, on behalf of Daniel Wells in a certain matter of controversy, in our said court depending and undetermined, between Daniel Wells "a pauper" & Benjn. F. Lewis and this he shall in no wise omit, under the penalty of $333 33 cts. And have then there this writ. Witness, William Cranch, Esq. 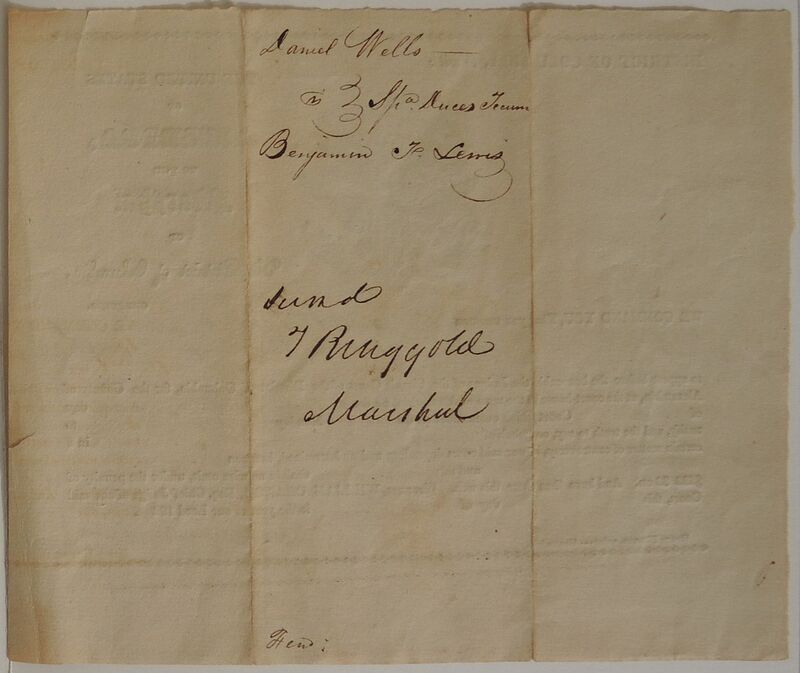 Chief Judge of our said Court, this 8th day of June in the year of our Lord 1824.